Ahhh spring! Everything is anew- flowers are blooming, birds are singing and everything feels so fresh. It's also a perfect time to clean out the old, freshen up the home and give our homes a thorough clean. I love spring cleaning because that means ... fresh start! Get rid of all the junk I've been meaning to and everything just smells and FEELS good! 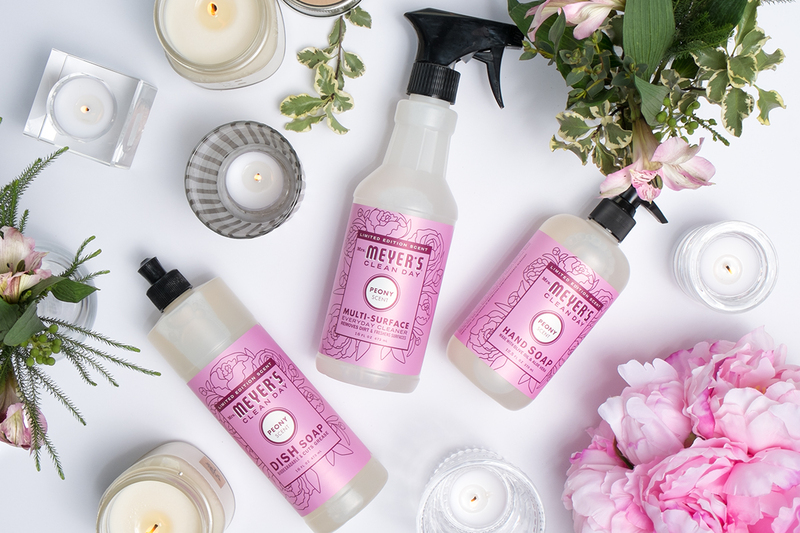 It’s a lot easier to feel inspired about spring cleaning when you are using fantastic, non­toxic products that smell amazing...which is why I can’t wait to share Grove Collaborative’s Mrs. Meyer’s Spring Cleaning Kit offer with you! 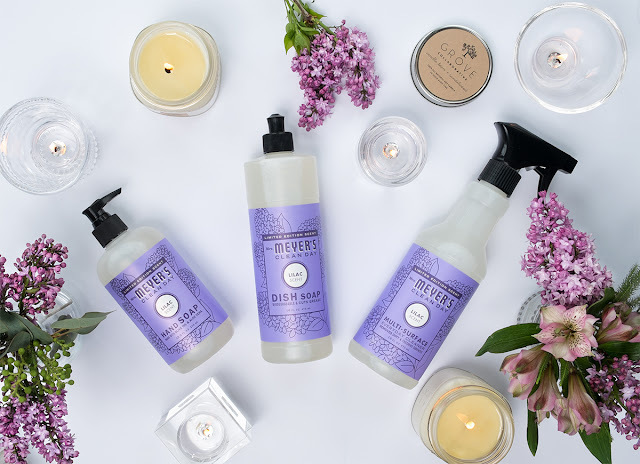 You’ll get a Mrs. Meyer’s dish soap and hand soap in one of the limited edition spring scents, a gorgeous Grove Collaborative glass spray bottle and the endlessly useful Grove Collaborative walnut scrubber sponges. Read on to find out how you get the products below for free! delivers the best, effective and affordable natural household and personal care products right to your doorstep. Well this is the same company with a new name! I’m a long time fan of Grove because they make creating a healthy, beautiful home effortless and economical. I don’t have to worry about running out of toilet paper or rushing to the grocery store to buy overpriced laundry detergent with indecipherable ingredients because Grove always has me covered. I also love that shipments are customizable and on a flexible schedule. Something tells me you’re going to be a fan of Grove too, especially after trying this Mrs.
limited edition spring scents and trust me, you don’t want to miss out. My spring cleaning routine involves everything from vacuuming under the sofa to organizing the pantry but most importantly, I want to make my home feel fresh. Mrs. Meyer’s makes this easier than ever ­­ I’ve always loved having peonies on the kitchen table during their brief season and now I can smell them while I’m doing the dishes, washing my hands or wiping down the counter. It (almost) makes cleaning feel luxurious! mention that it’s versatile too ­­ I’ve used it for concentrates and it’s great for any DIY recipe (like homemade room freshener). The walnut scrubber sponges have been a long time staple in my kitchen. I love that they’re made from plant based materials, are non­scratch and can tackle tough messes ­­ that’s a powerful trio! And the best part of this offer? Whether you’re new to Grove or an existing customer, you can take advantage of this offer! 1. Sign up for Grove Collaborative here. You will receive the Mrs.
Meyer's spring seasonal offer for free when you sign up! customize your first basket ­­ this takes under 30 seconds! household needs by adding or removing items. Already hooked on Grove Collaborative? Existing customers click here to get a free Grove Collaborative glass spray bottle in your next order. Don’t forget this special offer is only available until April 3rd or while supplies last.